The Games have a long and legendary history in Scotland. There are claims that the events go back as far as the time of the Druids. Unfortunately, there is no historic evidence to support this; however, the Games do seem to be based on documented Druid celebrations: fertility rites, religious festivals, and harvest thanksgivings. Legend also has it that during the time of the Roman invasions into Britain during the 2nd & 3rd centuries, Scottish warriors displayed their bravery and strength by performing feats of skill and power in front of the opposing army. Reports can also be found of competitions between neighboring Clans and with retinues of visiting officials from England. One of these gatherings involved Lord William Harwood's visit to Scotland as King Henry VIII of England's envoy. Lord William brought handpicked men who specialized in wrestling, leaping ,shooting, and shot putting. The 1745 uprising ended with the Battle of Culloden. 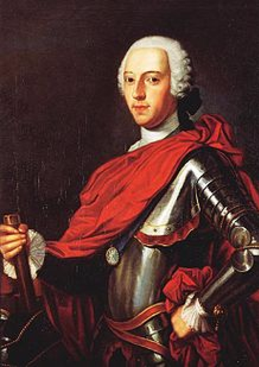 The Act of Proscription (1746-1782) was passed in response to the uprising and a ban was placed on all weaponry, the wearing of the kilt or tartan, the playing of the bagpipes, and public gatherings. These policies were an attempt to exterminate the Highland way of life. The Highland Games got a major boost thanks to Sir Walter Scott, who orchestrated King George IV's visit to Edinburgh in 1822. The King of England appeared in Highland dress, thereby placing his stamp of approval on reviving Scottish culture. During the 11th Century, King Malcolm Canmore (Malcolm III) of Scotland is crediting with starting these games. 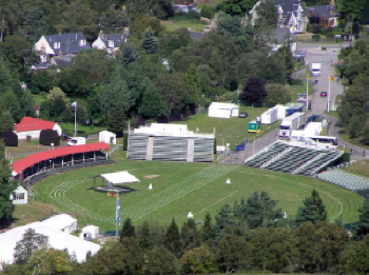 Legend has it that the Clan Chiefs would hold competitions to pick the strongest men to be their bodyguards and the fastest men to act as m [Picture of the Braemar Gathering field] essengers. King Malcolm needed a gille-ruith (running footman or messenger) to relay his orders, so he organized a hill race to the top of Craig Choinnich overlooking Braemar. King Malcolm has put his mark on several other parts of the modern Scottish Games. The "Sword Dance" in the dancing competitions is said to have originated in Dunsinane in 1054 when Malcolm slew one of MacBeth's chieftains. Legend has it that Malcolm crossed his own sword over the sword of his vanquished opponent and danced over them. Also, the pipe tune for this dance, the "Gillie Chalium" was composed to mock his tax gatherers. The Braemer Gathering received greater fame because of Queen Victoria's love of the Dee Valley where she built Balmoral Castle. The Queen took great interest in everything that took place within the district (including the Games). The Queen regularly attended the Games with huge parties of friends and encouraged her men to enter the competitions. She also donated prizes for the competitions and bestowed the prefix "Royal" on the Braemar Highland Society by invitation of the Queen. This was the beginning of a personal link with the British monarchy that has lasted throughout every reign since. Scottish Highland Games are claimed to have influenced Baron Pierre de Coubertin (founder of the Modern Olympic Games). Pierre attended a Highland Games display at the Paris Exhibition of 1889 (World's Fair). 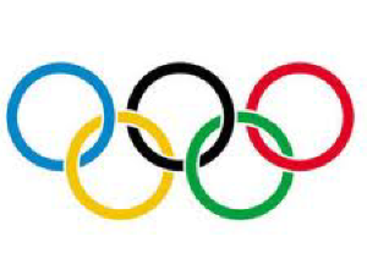 The International Olympic Committee (IOC) was founded in 1894, with the first games being held in Athens in 1896. The first Olympic Games held in the United States were in St. Louis in 1904. Our mission is to educate the general public of his or her own history and culture. 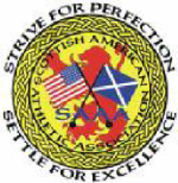 We are hired by Celtic festivals to run, sanction, and promote Scottish Highland Games. We also start our own events and to build new festivals around our new athletic venues. We are currently expanding out of California north to Homer Alaska and now partnered with Pacific Northwest Scottish Association (PNSA) to encompass British Columbia Canada, and now as far east as Texas where we have a satellite organizations set up. We are the bench mark for all others to follow. The SAAA now provides kids events as well as educational programs for children of all ages. We are not trying to overtake any existing organization, but to standardize the games for all.